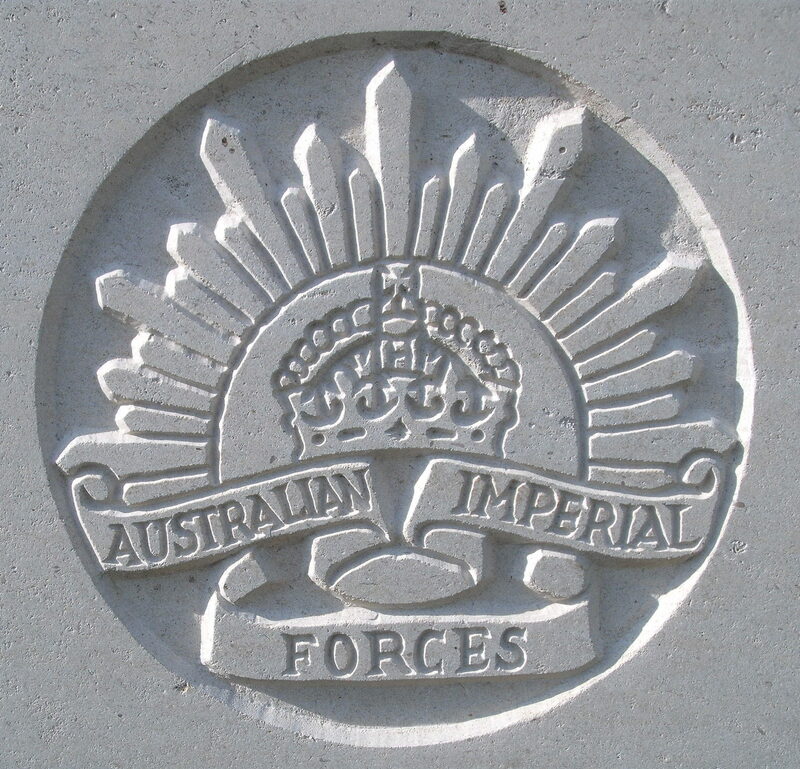 'A' Coy, 6th Infantry Battalion, 2nd Brigade, 1st Australian Division, A.I.F. Harry Phelps was born in Welland on 30th October 1891, the son of Thomas William (Farmer and Churchwarden) of the Malthouse Farm, Welland . He started Welland school on the 25t h January 1897 and then went on to Hanley Castle Grammar School . He helped his father on the farm until he emigrated to Australia when he was twenty. He enlisted in the 6th Australian Infantry Battalion on the 18th August 1914 at Melbourne, Victoria. At this time he stated that he was a farmer and had had previous service with the Territorial Mounted Infantry (it is unclear whether this was in Australia or Great Britain, but is likely to have been in Australia). He embarked at Melbourne on the Transport A20 “Hororata” on the 19th October 1914, and landed in Egypt. He embarked to join the Mediterranean Expeditionary Force from Alexandrai on 5th April 1915 and was posted to A Coy, 6th Infantry Battalion on 18 August 1915. He was reported missing on 7th August 1915 and a Board of Enquiry sitting on 24 April 1916 found that it was likely he had been killed in action. A relative, possibly his sister, a Mrs E Taylor drew his deferred pay until this time and sent the money back to his parents in Welland. She lived at Iona, Bunyip, Victoria.